Eugenio Filippi, Head of Manufacturing Purification at Takeda Pharmaceutical Company Ltd (previously Shire). 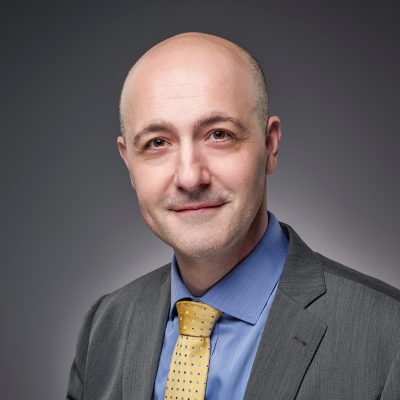 Prior to joining Baxter as Molecular Biology Manager in 2010, Eugenio has worked in a number of roles at IBM, among which as Operations Manager in the Bratislava International Services Center in Slovakia and as IT & Transformation Manager for IBM Austria & Switzerland. Between April 2013 and June 2018 Eugenio as lead the European Plasma Operations, which include Logistics, Testing (Serological and NAT) and Plasma dispositioning. Since July 2018 he is Head of Manufacturing Purification at Shire in Vienna. Eugenio, who is originally from Italy, holds a Master of Science in Biotechnology from Wageningen University (the Netherlands) as well as a Master in Business Administration from Henley Management College (England). Aside from his interests in Cold Chain Logistics and process optimization, Eugenio has been focusing on 6 Sigma and LEAN methodologies which are becoming strong elements of his company culture. Check out the incredible speaker line-up to see who will be joining Eugenio.